How many times have you reinvented yourself? From single woman, to mother. From mother to empty-nester. From corporate career woman to entrepreneur. From daughter to caregiver. And so many other possibilities. This episode’s guest, Karen Nowicki, is known as The Queen of Reinvention. Her ability to pivot and shift through life’s changes is inspiring. She believes that life is a journey in self-discovery and evolution. Upside-down moments can become turning points. We all have many in a lifetime. How we manage through them so they don’t derail us is the code that Karen seems to have cracked. 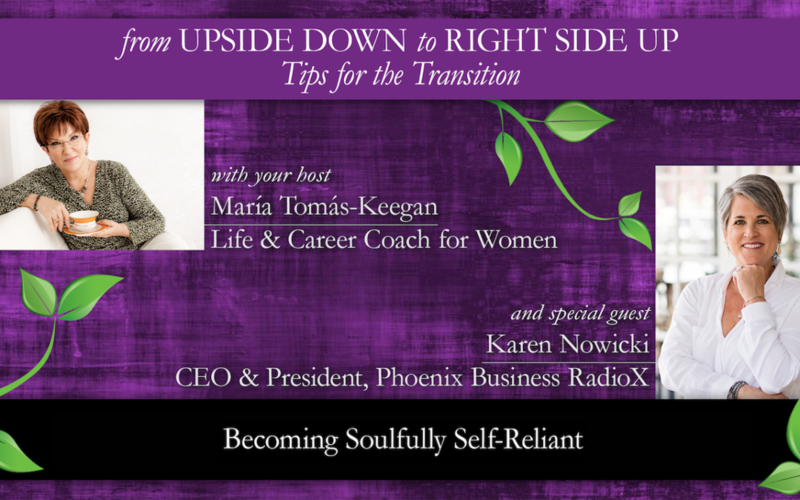 I invite you to listen to her inspiring story of reinvention—multiple times—and how she became Soulfully Self-reliant.